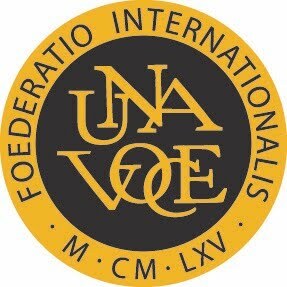 Today I am publishing the last of the series of FIUV Position Papers. Further ones may be published as the need arises. Although we have no exhausted the possible topics for these papers, we have done enough to make clear a number of important general principles. Bringing the series to a close will also enable us to publish them as a group. This paper is about the Sanctoral Cycle: saints days. There are some striking contrasts between the Traditional and the Novus Ordo calendars in relation to saints days, both in detail (dates being changes) and in the fundamental principles behind them. These differences both suggest, and render problematic, attempts to make the two calendars converge, wholly or partially. This paper seeks to set out and defend the rationale of the Sanctoral Cycle of the Traditional Roman Missal. Previous papers can be seen on this page. I've put some more commentary on my own blog here. Pope Benedict XVI’s Letter to Bishops accompanying the Motu Proprio Summorum Pontificum noted that, in principle, new saints should be ‘inserted into the Missal’ of the Extraordinary Form. This remark affirms both that the 1962 Missal has its own calendar integral to it, and that this calendar can and should have new saints added, as is normal in the history of the liturgy. This paper will attempt to set out a rationale for the distinct character of the Extraordinary Form’s Sanctoral Calendar, which will have implications for its future development. The calendar has been subject to continual change over the centuries, as saints have been added and removed. However, the Roman rite has been characterised by the celebration of feast days since the earliest times—since before the development of Lent and Advent, for example—including some of the feast days still celebrated today in the Extraordinary Form. The Sanctoral Cycle suffuses the entire liturgical year with a particular spirit, much more than the Sanctoral Cycle of the Ordinary Form, which not only has significantly fewer saints’ days, but which generally gives those that do occur less liturgical significance. Multiple liturgical calendars, even within a specific geographical area, are a long-standing feature of the life of the Church. Locally important are honoured with feast days in churches and regions of which they are the patron, or where they have a local cult. Again, religious Orders may either have a distinct calendar as part of a distinct, longstanding liturgical Rite or Usage, like the Dominicans, or as with the Benedictines, feasts of the founders, doctors, and martyrs of an order will supplement the Universal calendar. More significantly, the very distinct calendars of the Oriental Rites have long been used side by side with the Latin Rite in regions which have historically been mixed, such as southern Italy. Today, thanks to migration to the West from countries of Oriental heritage, and the permanent or transitory presence of Latins in the East, this situation obtains all over the world. The question of liturgical pluralism and the importance of the Oriental Rites have been explored in other Position Papers. 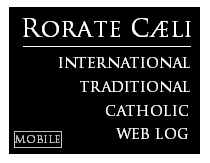 The form of the calendar as it appears in the 1962 Missal (the 1960 Calendar) need not be regarded as ideal: it has been argued elsewhere that the abolition of many Vigils and Octaves in 1955 was regrettable, and a case for the restoration of some feasts abolished before 1962 could also be made. Some changes made in 1955 or 1960 were indeed reversed in 1969. Nevertheless, the Sanctoral Cycle of the 1960 Calendar exhibits a high degree of continuity with the calendars used in earlier decades and centuries, and a marked contrast to the calendar of the 1970 Missal. The 1969 reform aroused strong feelings at the time. The distinctiveness of the older Calendar is manifested in the number of feasts and commemorations; the place of very ancient saints in it; and the commemoration of the miraculous. On the number of feasts, the Extraordinary Form provides saints (including forty optional Commemorations) for approximately 70% of the days of the year, compared to 50% the Ordinary Form. Saints accompany and sustain the Faithful day by day: the liturgies of successive days of the week are distinguished and marked by them, as they are to some extent by the ferial Lectionary in the Ordinary Form. It is important that a certain proportion of the days of year be ferial days or Commemorations: to allow for the celebration of Votive Masses, including Masses for the dead; for the celebration of the Dominical Mass (the formulary of the previous Sunday), particularly when the Sunday was occluded; and in Lent, for the celebration of the special ferial Masses of that season. However, there would be no advantage in a weekday liturgy dominated by Votive Masses or the reiteration of the Dominical Mass. On the antiquity of the saints kept in the Calendar, the Extraordinary Form preserves cults which have had an important part in the life of the Church over many centuries. For example, of the saints included in the popular medieval devotion to the Fourteen Holy Helpers, all but one are marked in the 1960 Calendar, though only four are found in the 1969 Calendar. Other examples are given in the Appendix. Many of these ancient saints, especially the martyrs from the age of Roman persecution, still have resonance today. Despite the exclusion of St Valentine from the 1969 Calendar, the Holy Father blesses engaged couples on 14th February, a day described in official reports as ‘St Valentine’s day’. Ancient saints appear in European folk lore, in religious art, in the dedications of venerable churches, and in the visions and inspirations of countless later saints, and they established many of the most popular names used in in Catholic cultures to this day. The commemoration of the miraculous can be seen both in relation to the stories of the saints referenced in liturgical texts, and in feasts commemorating supernatural events. The intrusion of the supernatural into ordinary life in visible ways, as commemorated in these feasts, is of profound importance, illustrating in a special way God’s guidance of history and care for the Church. All three features are related to the general place the cult of the saints have in the Extraordinary Form, which can be summarised by the oft-repeated phrase ‘by their merits and prayers’, and its equivalents. In the Confiteor, in many of the Orations, and above all in the Canon, the prayers of the Mass are underwritten by the saints, often mentioned by name (see Appendix). The invocation of the saints in these contexts is not primarily an appeal to their edifying example—often, we know little about them—or to their representative role over time or space. It is rather to their spiritual power—their dearness to God—and to the continuity they represent between us today with the earliest Popes and Martyrs, and indeed with the Old Testament, as well as with the generations of Catholics who have begged their prayers. It is natural that the Calendar of the Extraordinary Form should reflect the same concerns as its liturgical texts. While arguing that the Sanctoral Cycle as it is in 1962 is not necessarily too full, it does not follow that a significant number of new saints could be added without it becoming so. If more saints are to be added, some saints must be removed, or their celebration made optional. The calendar of the Extraordinary Form arguably contains infelicities and anomalies, some the result of earlier attempts at reform. Care must be taken, however, not to undermine the sense of continuity experienced by the Faithful attached to the Extraordinary Form, a continuity not only with an idealised, distant, past, but with our immediate predecessors in the Faith: the Catholics of fifty, of a hundred, and of two hundred years ago, who built or restored so many of our churches, created much of our devotional art, and composed the devotional materials still used today. It is worth noting that the specifically Roman calendar of ancient times, which influenced (or in some cases formed the basis of) local calendars, came in time to be seen as simply the Latin Church’s ‘Universal’ calendar. In practice it also had a third function, as the local calendar of Italy, and this is reflected in its inclusion of many Italian saints. In accordance with more ancient practice, it would seem preferable for the Roman calendar to leave the choice of more modern saints, except for the most important ones, to local calendars, or the option of the celebrant. This would mean that the Faithful would not be deprived of saints with local historical importance and cultus, while leaving room for the inclusion of new saints with a genuine world-wide significance. This could most easily be achieved in practice by making a the celebration of a certain number of the less important modern saints, currently ranked as 3rd Class, optional. What earlier generations held as sacred, remains sacred and great for us too, and it cannot be all of a sudden entirely forbidden or even considered harmful. It behoves all of us to preserve the riches which have developed in the Church’s faith and prayer, and to give them their proper place. Damage could easily be done to the integrity and distinctive value of the ancient Missal, an to the sense of continuity experienced by those Faithful who follow it, by a too-hasty reform of the Sanctoral Cycle, which did not take into sufficient account the following principles. First, that there should be no embarrassment about the fact that there is a multiplicity of Calendars in use in the Church. A variety of things with real value is a cause for celebration, not regret. Secondly, the overall density and antiquity of feasts, and the association with the miraculous, are features with special value in the Extraordinary Form, particularly in light of its lack of a ferial cycle outside Lent. Thirdly, the merits and intercession of the saints is the key to their liturgical role in this Form. This is reflected strongly in the typical language used in liturgical texts, by contrast with the language of the Ordinary Form. It follows that it would be impossible to use orations composed for the Ordinary Form in the Extraordinary Form, just as it was not deemed appropriate to use unedited the orations of the former Missal in the creation of the 1970 Missal. The texts of the Commons of Saints, which are often of great antiquity, as well as many other texts in the ancient Missal, do in fact make it less necessary to use more recently composed orations. Fourthly, the value of continuity, of worshipping as our predecessors worshipped, indicates a proper attitude of conservatism in relation to changes to the Sanctoral Cycle. The liturgical experience and devotions dear to our predecessors are worthy of our remembrance and honour. It is the special vocation of the Extraordinary Form to serve as this remembrance, and it should not be impeded in performing this function. It is accordingly to the more modern saints of the 1960 calendar, and those of them without either an important connection with Rome or a truly universal following, to which reformers should look with a view to creating the space necessary for the inclusion of new saints. This should not be seen, however, as the abolition of feasts, but rather of allowing them to be preserved where they are of genuine importance. As noted above, the importance of the cult of the saints in the Extraordinary Form is illustrated by their place in the liturgical texts used throughout the year, notably the Confiteor (which invokes the Blessed Virgin Mary, St Michael the Archangel, and four others); the Roman Canon (the Blessed Virgin Mary, St Joseph, and twelve others in the Communicantes; fifteen more after the Nobis quoque peccatoribus), along with three saints of the Old Testament. The saints are appealed to again, in summary fashion, in the prayer Libera nos. In addition, the Great Litany, which is used in the rite of Reception into the Church, and in the Easter Vigil, as well as other occasions, lists the Blessed Virgin Mary and fifty one angels and saints, a list which overlaps with that of the Canon, but includes saints from a wider span of time. The role of the saints in the liturgy underlines their importance in the calendar, and indeed the Extraordinary Form calendar provides for these saints far more abundantly than does that of the Ordinary Form. The same can be said for the saints prominent in traditional popular devotions such as, as already noted in §10 above, the Fourteen Holy Helpers, and in traditional hagiographical sources, of which the most important is the Legenda aurea (1298). To illustrate, all the saints of the Great Litany, are honoured with a feast-day (or Commemoration) in the 1960 Calendar, but the 1969 Calendar does not include the Martyrs John and Paul, and the Virgins Catherine and Anastasia. Of the saints of the Roman Canon, we find that, leaving aside the Old Testament figures, each of the saints has a feast or commemoration in the Extraordinary Form, but seven of them do not in the Ordinary Form: the Popes Linus, Cletus, and Alexander; and the Martyrs Chrysogonus, John and Paul, and Anastasia. On the Legenda aurea, this work can still to an important extent serve as a companion to the 1960 Calendar, with nearly a hundred saints from the Legenda to be found in the 1960 Calendar, in the same order that they appear in the book, nearly twice as many as in the 1969 Calendar. To reiterate a point made in §13 above, it is a matter of the integrity and coherence of the Extraordinary Form that its Calendar reflect the same concerns as its liturgical texts. Other papers in this series have addressed the question of Vigils and Octaves (Positio 20: The Season of Septuagesima, and Vigils and Octaves, in the Extraordinary Form) and Holy Days of Obligation (Positio 13: Holy Days of Obligation). This contrast between the Ordinary and Extraordinary Form has been discussed in the context of the Lectionary. In practice, the ferial cycle of readings tends to take precedence over special readings appropriate to the saint of the day, even when the saint is being celebrated. See Positio 15 The Lectionary of the Extraordinary Form 11-12. For example, in England and Wales, by 1962 there were eight saints, plus the ‘Martyrs of England and Wales,’ with national feasts, and an additional 146 feasts kept in one or more diocese. These include saints of every era of English and Welsh Catholic history, particularly the ‘Penal Times’ of the 16th and 17th centuries, and a number of devotions taken up in particular dioceses, such as to the Holy Relics, the Holy House of Loreto, and Our Lady in Porticu. These, like the feasts particular to a diocese or country, would typically be contained in a supplement to the Missal, containing the necessary texts (and a corresponding supplement to the Graduale Romanum for the chant settings). See Positio 6: Liturgical Pluralism and the Extraordinary Form; and Positio 21 The Extraordinary Form and the Eastern Churches. Positio 20: The Season of Septuagesima, and Vigils and Octaves, in the Extraordinary Form 17. Another feature of the Roman Rite abolished before 1962 which would be helpful in the context of the Sanctoral Cycle was the use of ‘proper’ Last Gospels: when two feasts clashed, the less important could be commemorated by its gospel being read in place of the Preface of St John at the end of Mass. The value of restoring this practice has been noted in Postitio 15: The Lectionary of the Extraordinary Form 21. 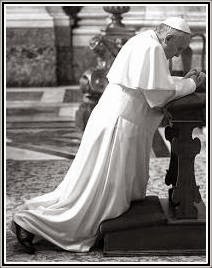 Losses before 1962 include the distinct feasts of the Chair of St Peter at Rome and at Antioch (18th January and 22nd February: they are combined on the latter date); St John before the Latin Gate (6th May); the Apparition of St Michael (8th May); St Peter in Chains (1st August); and the Finding of St Stephen (3rd August). There were also losses to the list of Votive Masses. On the other hand, the 1962 Missal is less restrictive than earlier editions about the use of Masses ‘pro aliquibus locis’, noting of this section of the Missal: ‘The Masses written below, of a Mystery or of a Saint in the Martyrology that day, can be said as festival Masses everywhere, at the choice of the priest, in accordance with the rubrics. Similarly Masses of this kind can also be said as votives, unless any of them is expressly excepted.’ (‘Infrascriptæ Missæ de Mysterio vel Sancto elogium in Martyrologio eo die habente, dici possunt ut festive ubicumque, ad libitum sacerdotis, iuxta rubricas. Similiter huiusmodo Missæ dici possunt etiam et votivæ, nisi aliqua expresse excipiatur.’) Cf. the Rubricae Generalis of the Missal, n.302. Of the Masses just listed, all but the Chair of St Peter feasts appear in the Missal in the ‘pro aliquibus locis’ section. As noted in Positio 20 Septuagesima 17, the 1955 abolition of the Vigil of the Epiphany was reversed in 1969. In the 1960 reform St Irenaeus was moved from 28th June to 3rd July; this, again, was reversed in 1969. Reversals of much earlier reforms include St Hilary of Poitiers, St Catherine of Siena, and St Elizabeth of Portugal. The moving of saints days, sometimes by only one day, were motivated by the desire to move saints off Octave days and Vigils, which were abolished in the 1969 reform. If a Commemoration is not celebrated as the Mass of the saint (or devotion) of the day, it is commemorated at Low Masses with an extra Collect, Secret, and Postcommunion. Including Commemorations and five Vigils, but not including movable feasts, the 1960 Universal Calendar marks 249 days as non-ferial days of one kind or another. Twelve of these ferial days are Ember Days, and thus not not free for the celebration of the Dominical Mass or most Votive Masses. The 1969 Universal Calendar marks 181 days as non-ferial days (including 92 optional ‘Memorials’), and does not have Ember Days. As well as important feasts with fixed dates, which sometimes fall on Sundays, and the external celebration of feasts such as Corpus Christi and the Ascension, on Sundays, the Sunday’s Mass formulary is regularly replaced by the celebration of the feast of Christ the King on the last Sunday of October, and the external celebration of Our Lady of the Rosary on the first Sunday of October. Since the Feast of the Holy Family is always celebrated on the First Sunday after Epiphany, and the Trinity on the first Sunday after Pentecost, those Sundays’ Mass formularies are only ever celebrated on the ferial days of the following week. The exception is St Agathius. St Blaise, St Denis (Dionysius), St Erasmus, and St George. It is no small cultural achievement on the part of the Church, to take an extreme example, for Christ and St Peter to appear in folk tales collected in Germany by the brothers Grimm, in a context reminiscent of the tales of the travels among mortals of Thor and Loki, or of Zeus and Hermes, in ancient European paganism. A well-known example being the guidance of St Joan of Arc by St Michael the Archangel, St Catherine of Alexandria and St Margaret of Antioch. All three were popular in St Joan’s day, and frequently depicted in devotional art. The most striking example is the miraculous healing of St Agatha’s breasts, torn off by torturers, which is referred to in the Collect of her feast (5th February), and more explicitly in her Vespers hymn, Quis es tu venisti. St Agatha’s feast is celebrated in the Ordinary Form, but without these texts. Again, the Gospel for the feast of St Gregory Thaumaturgas (17th November), Mark 11:22-24, is chosen because he himself moved a mountain. The Collect for St Joseph Cupertino (18th September), somewhat playfully alludes to his levitations. The Collect of St Scholastica (10th February), refers to her soul’s entry into heaven in the form of a dove. Examples include the Stigmata of St Francis (17th September), the Conversion of St Paul (25th January), and the Apparition of Our Lady at Lourdes (11th February). Others in this category, formerly in the Universal Caldendar and now in ‘pro aliquibus locis’ in the 1962 Missal, include St John before the Latin Gate (6th May), which commemorated the attempt to martyr St John the Apostle, which failed due to miraculous intervention; the Apparition of St Michael (8th May); and the Finding of St Stephen (3rd August). Although they do represent different orders in the Church: priests, bishops, religious, and laity, martyrs and confessors, virgins and widows. Prior to 1960 a good number of feasts of great historical importance had been ranked ‘Semi-Double’ or ‘Simple’, whereas many saints of the Counter-Reformation period were ranked as ‘Double’. The simplification of rankings in 1960 led to many in the first category becoming ‘Commemorations’ while the latter became ‘3rd Class’. Thus we find, paradoxically, St Aloyesius Gonzaga (21st June) has a 3rd Class feast, whereas major figures of popular devotion such as St Valentine (14th March), St George (23rd April), and Our Lady of Mount Carmel (16th July), are Commemorations. Efforts were made in the reform following the Second Vatican Council to make the liturgical celebration of saints coincide with their dies natalis, which was in some cases only possible following the abolition of other feasts which occupied it. One solution, found in some medieval calendars, is to allow a commemoration of a saints on his dies natalis, when this is occupied by an important feast, even when his feast is to be celebrated on a later, free, day. In accordance with the general principle already noted (note 8), that saints included in the Roman Martyrology or the section of the Missal, Pro aliquis locis, may be celebrated on their own feast days, or as Votive Masses. Pope Benedict XVI op. cit. Compiled by Jacobus da Voragine, but incorporating much earlier material. In the version used in the Extraordinary Form. Later restored as an optional Memorial.